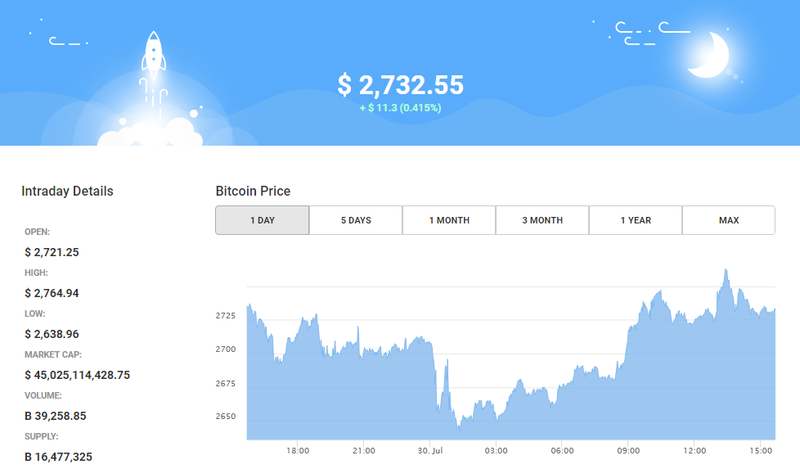 Bitcoin price once again could not break past $2800 on Wednesday. It is now testing support around $2700. Bitcoin has finally split into two after a rival version of the software forced a hard fork yesterday. Surprisingly, this did not panic investors to sell of Bitcoin. They still remain hopeful that Bitcoin will garner more network acceptance. The SegWit lock in on the main Bitcoin is scheduled for 8th August. Interestingly, Bitcoin Cash (BCH) at point point reached $727, but came crashing down soon after. Exchanges around the world are uncertain whether or not to support BCH. As it turns out most of the Japanese exchanges will accept Bitcoin Cash after all with a few days or weeks. This will likely give BCH a fighting chance it desperately needs. Bitbank will enable trading of BCH on August 3rd. Bittrade has yet to make an official announcement, but it is expected they will do so tomorrow. No one is talking about the SegWit2x plan which was the result of New York Agreement, which supposedly solved the scaling issue. The agreement got both the parties to agree on the implementation of of Segregated Witness and a hard fork that will double the Bitcoin block size. Now we have BCH with a block size of 8 MB and original Bitcoin’s size stays at 1 MB. If, for any reason, Bitcoin doesn’t hard fork in November as scheduled for SegWit2x, miners who support big blocks might go ahead and launch the hard fork anyway. We could end up having another Bitcoin fork called BTC-SegWit2x.